Ms. Brommitt was a beloved first grade teacher for over 30 years. When she passed away from cancer, the school community wanted to celebrate her special contribution to the school. 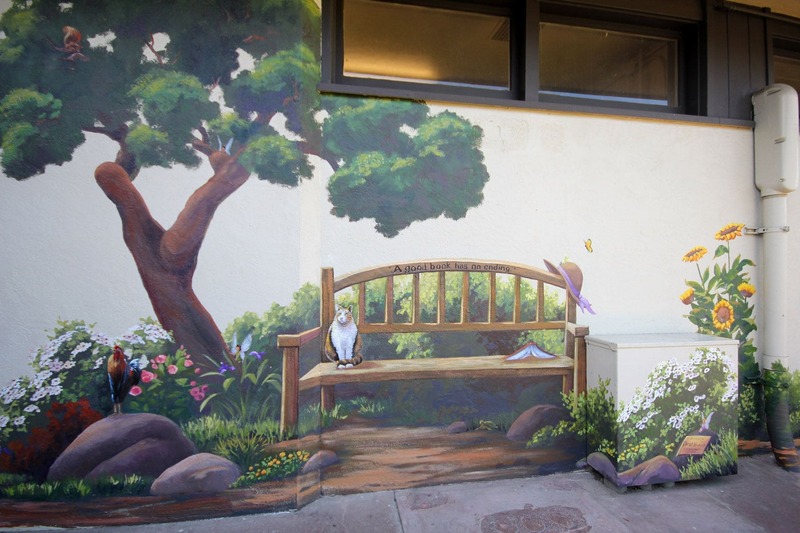 They considered a plaque or a bench, but fortunately someone on the PTA suggested something more memorable… perhaps a mural? Great idea! I interviewed her closest allies on the staff to find out what made Cheryl unique, and what images might best represent her. We included a montage of her favorite things: books, pigs, fairies, flowers, a rooster and, of course, her Calico Cat. 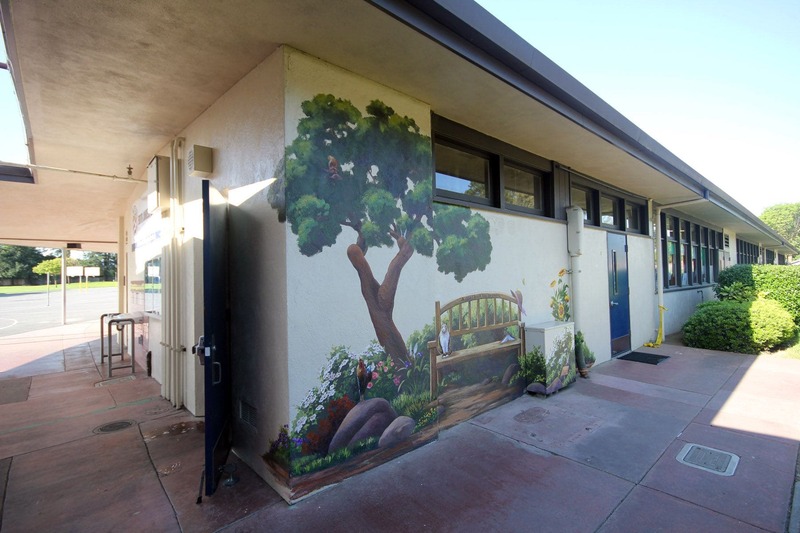 The result was this sweet scene, painted on the wall outside her first grade classroom. 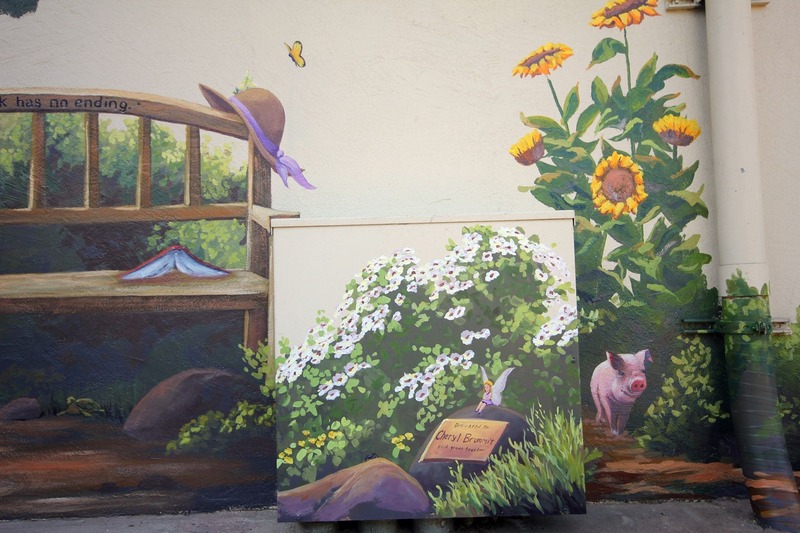 For more information about this mural project, read my blog post Garden of Eatin'.